How can we reduce obesity in Scotland? What is the impact of obesity? What are the common areas of debate? Working with industry: voluntary approaches or government regulation? How to deal with imperfect evidence? What policy interventions have been recommended? What are the limitations of the survey results? What were the top ten interventions? 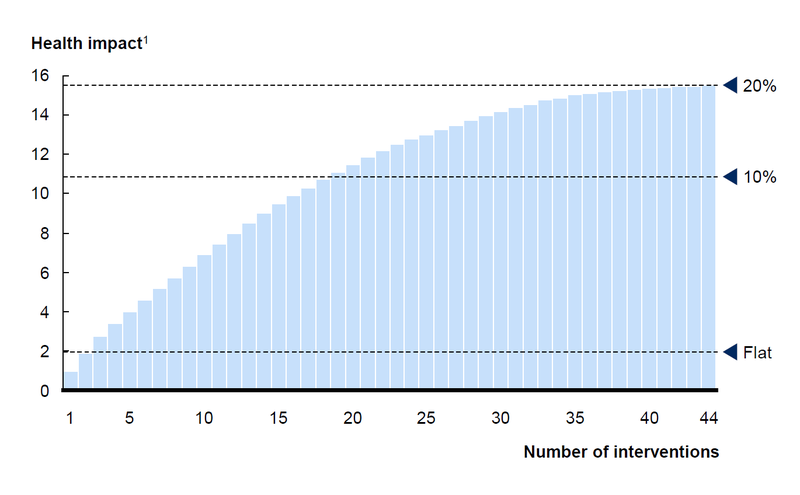 Image: Mckinsey Global Institute: how many interventions should be implemented? Scottish Intercollegiate Guidelines Network. (2010). Management of Obesity: A national clinical guideline. 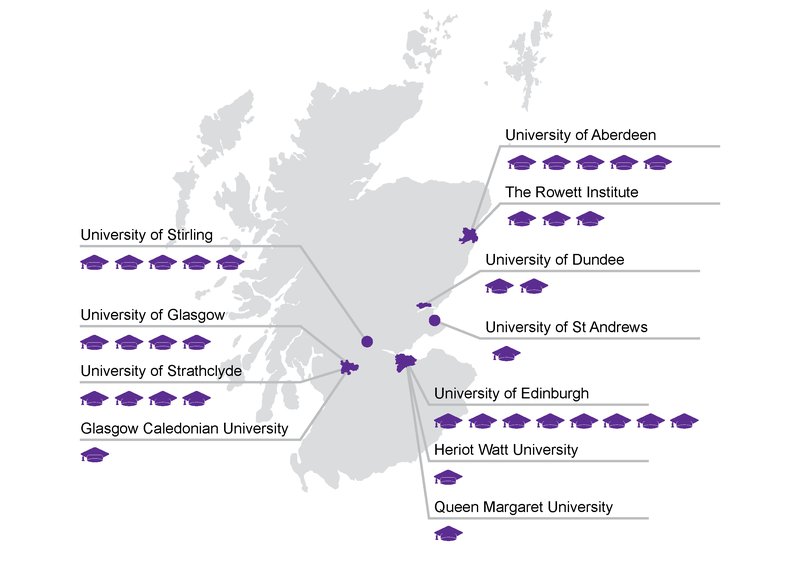 Scottish Intercollegiate Guidelines Network. Scottish Government. (2016). Obesity Indicators: Monitoring Progress for the Prevention of Obesity Route Map - December 2016 Report. Statistical Bulletin, Health and Social Care, Scottish Government. Castle, A. (2015). Obesity in Scotland. Scottish Parliament Information Centre (SPICe) Briefings. Dobbs, R., Sawers, C., Thompson, F., Manyika, J., Woetzal, J., Child, P., … Spatharou, A. (2014). Overcoming obesity: An initial economic analysis. McKinsey Global Institute. Loring, B., & Robertson, A. (2014). Obesity and Inequities: Guidance for Addressing Inequities in Overweight and Obesity. World Health Organisation. Scottish Government. (2016). Scottish Health Survey: Health Board Results 2012 - 2015. Health and Social Care, The Scottish Government. Baker, C. (2017). Obesity Statistics: Briefing Paper Number 3336. House of Commons Library. OECD. (2017). Obesity Update 2017. OECD. The Scottish Government. (2010). Overweight and Obesity in Scotland: A Route Map Towards Healthy Weight. The Scottish Government. McPherson, K., Marsh, T., & Brown, M. (2007). Tackling Obesities: Future Choices – Modelling Future Trends in Obesity & Their Impact on Health. Foresight. Vandenbroeck, P., Goossens, J., & Clemens, M. (2007). 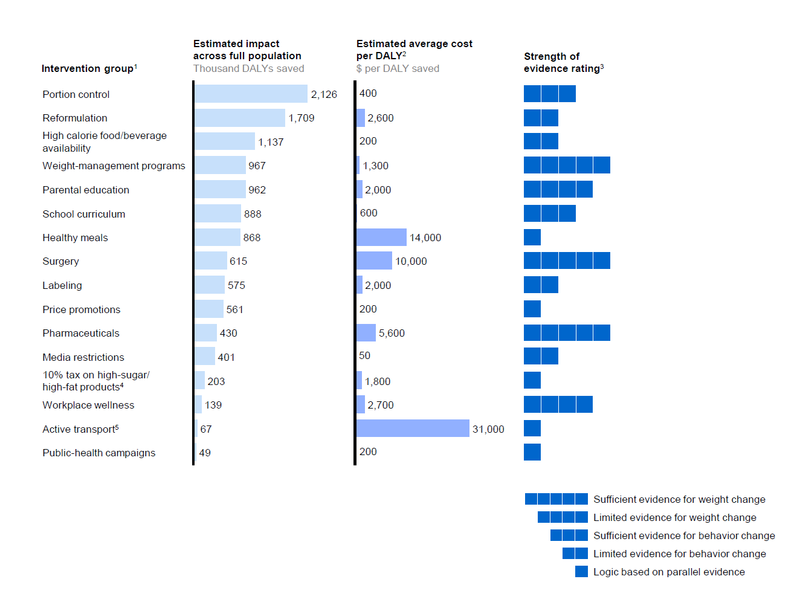 Tackling Obesities: Future Choices – Obesity System Atlas. Foresight, Government Office for Science. Food Standards Scotland. (2015). The Scottish Diet: It Needs to Change. Food Standards Scotland. Food Standards Scotland. (2017). The Eatwell Guide Booklet. Food Standards Scotland. Scottish Government. (2016). Revised Dietary Goals for Scotland - March 2016. Scottish Government. McDonald, A., & Milne, A. (2016). Foods and drinks purchased into the home in Scotland using data from Kantar WorldPanel. Food Standards Scotland. NPD Group and Food Standards Scotland. (2017). An overview of the out of home market in Scotland. Food Standards Scotland. DEFRA. (2017). Family Food 2015. National Statistics Publication for the Department for Environment, Food and Rural Affairs (DEFRA). Food Standards Scotland. (2016). Diet and nutritiuon: update on setting the direction for the Scottish diet. Food Standards Scotland. Office for National Statistics. (2017). Statistical bulletin: Family spending in the UK: financial year ending March 2016. Office for National Statistics. NICE. (2013). Physical activity: brief advice for adults in primary care. Public health guideline PH44. National Institute for Health and Care Excellence (NICE). Brown, L., Campbell-Jack, D., Gray, L., Hovald, P., Kirkpatrick, G., Knudsen, L., … Rose, J. (2016). The Scottish Health Survey: 2015 Edition. National Statistics Publication for Scotland. The Scottish Government. (2008). Healthy Eating, Active Living: An action plan to improve diet, increase physical activity and tackle obesity (2008-2011). The Scottish Government. The Scottish Government. (2011). Obesity Route Map - Action Plan. The Scottish Government. Scottish Government. (2011). 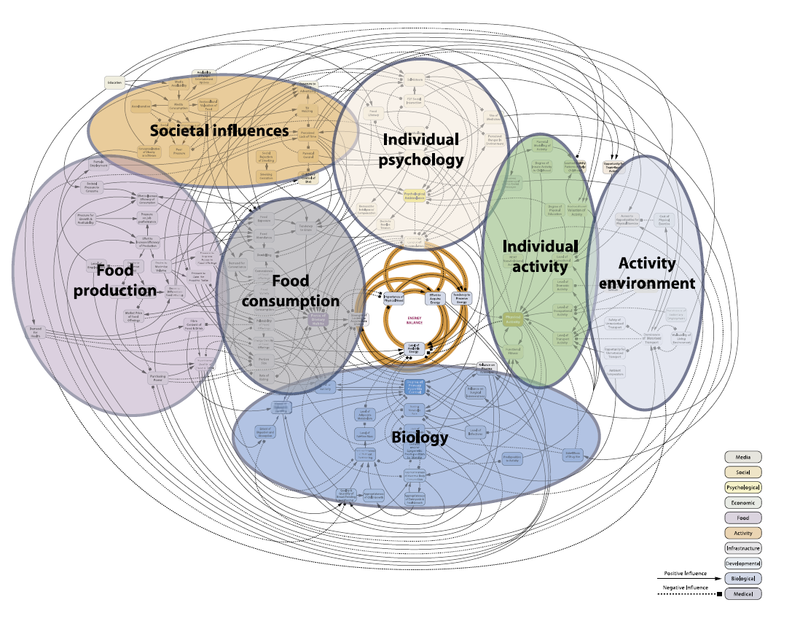 Prevention of Obesity Route Map: Analytic Framework. Scottish Government. Kerr, A. (2015). Review of the Obesity Route Map (ORM). Scottish Public Health Network (ScotPHN). Academy of Medical Royal Colleges. (2013). Measuring Up. The Medical Profession’s Prescription for the Nation’s Obesity Crisis. Academy of Medical Royal Colleges. Butland, B., Jebb, S., Kopelman, P., McPherson, K., Mardell, J., & Parry, V. (2007). Tackling Obesities: Future Choices. Foresight Reviews. Scottish Government. (2014). Supporting Healthy Choices: A Framework for Voluntary Action. Scottish Government. Tedstone, A., Targett, V., Owtram, G., Pyne, V., Allen, R., Bathrellou, K., … Swan, G. (2017). Sugar Reduction: Achieving the 20%. Public Health England. Public Health England. (2017). Sugar reduction and wider reformulation programme: interim review. Public Health England. Griffith, R., O’Connell, M., & Smith, K. (2014). The importance of product reformulation versus consumer choice in improving diet quality. Institute for Fiscal Studies. Food Standards Scotland. (2016). 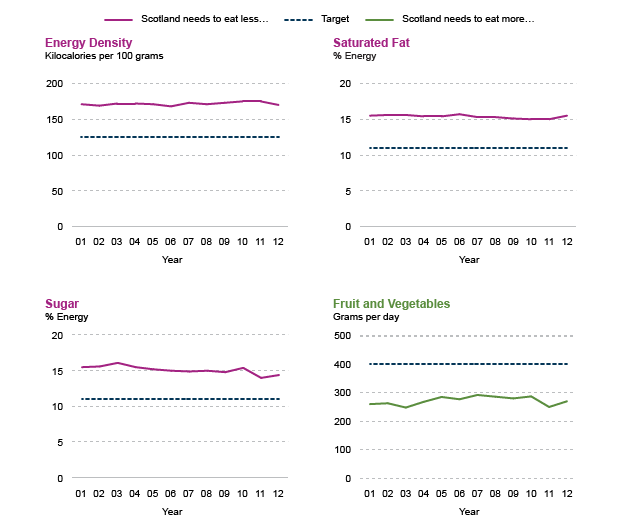 Diet and nutrition: proposals for setting the direction of the Scottish diet. Food Standards Scotland. Barber, S., Baker, C., & Foster, D. (2017). The Soft Drinks Industry Levy. Commons Briefing papers CBP-7876. House of Commons Library. Food Standards Scotland. (2016). Food in Scotland Consumer Tracking Survey: Wave 2. Food Standards Scotland. Royal College of Physicians of Ireland. (2014). The Race We Don’t Want to Win: Tackling Ireland’s Obesity Epidemic. Royal College of Physicians of Ireland. DEFRA. (2014). An introduction to the new Common Agricultural Policy schemes in England. DEFRA. Scottish Government. (2014). The new Common Agricultural Policy in Scotland. An introduction to what it means for you. Scottish Government. Birt, C. (2007). A CAP on Health? The impact of the EU Common Agricultural Policy on public health. Faculty of Public Health. Maio, G.R., Manstead, A.S.R., Verplanken, B., Stroebe, W., Abraham, C., Sheeran, P., … Conner, M. (2007). Tackling Obesities: Future Choices – Lifestyle Change – Evidence Review. Foresight, Government Office for Science. Scottish Transport. (2017). Scottish Transport Statistics. No 35: 2016 Edition. Chapter 11: Personal and Cross-Modal Travel. Scottish Transport. Cycling Scotland. (2015). Annual Cycling Monitoring Report. Cycling Scotland. Transport Scotland. (2017). Cycling Action Plan for Scotland 2017-2020. Cycling as a form of transport. Transport Scotland. Scottish Government. (2014). Let’s Get Scotland Walking. The National Walking Strategy. Scottish Government. Statistics Netherlands. (2016). Transport and Mobility 2016. Statistics Netherlands. Transport Scotland. (2016). Reported Road Casualties Scotland 2015. Transport Scotland. Scottish Government. (2014). Scottish Crime and Justice Survey 2012-13. Section 6: Public Perceptions of Crime. Scottish Government. Scottish Government. (2016). 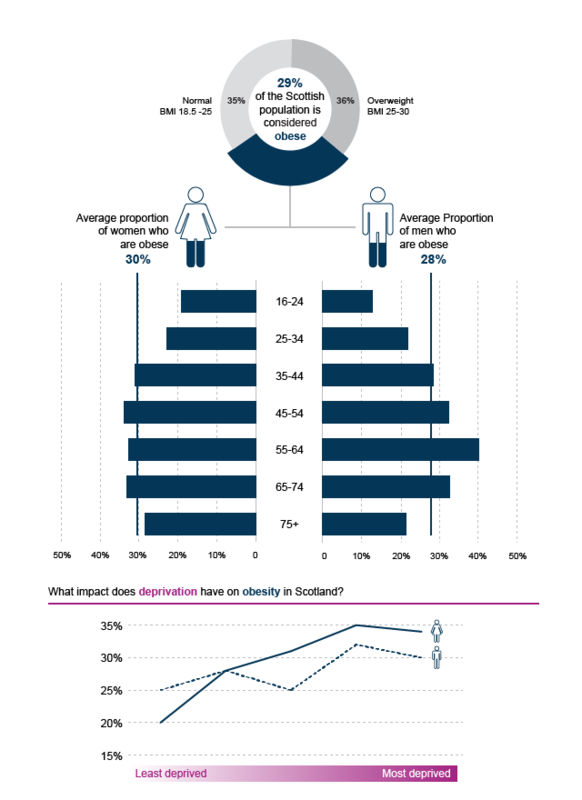 Scotland’s People Annual Report: Results from the 2015 Scottish Household Survey. A National Statistics publication for Scotland. Panter, J.R., & Jones, A.P. (2008). Associations between physical activity, perceptions of the neighbourhood environment and access to facilities in an English city. Social Science & Medicine, 67(11), 1917-1923. Giles-Corti, B., Macintyre, S., Clarkson, J.P., Pikora, T., & Donovan, R.J. (2003). Environmental and lifestyle factors associated with overweight and obesity in Perth, Australia.. American Journal of Health Promotion, 18(1), 93-102. Beaulac, J., Kristjansson, E., & Cummins, S. (2009). A Systematic Review of Food Deserts, 1966-2007. Preventing Chronic Disease, 6(3). White, M., Bunting, J., Williams, L., Raybould, S., Adamson, A., & Mathers, J. (2004). Do ‘food deserts’ exist? A multi-level, geographical analysis of the relationship between retail food access, socioeconomic position and dietary intake. Report to the Food Standards Agency. McGuire, E.R., Burgoine, T., & Monsivais, P. (2015). Area deprivation and the food environment over time: A repeated cross-sectional study on takeaway outlet density and supermarket presence in Norfolk, UK, 1990–2008. Health & Place, 33, 142-147. Sparks, L., & Burt, S. (2017). Identifying and Understanding the Factors that can Transform the Retail Environment to Enable Healthier Purchasing by Consumers. Report for Food Standards Scotland. The Chartered Institute of Marketing. (2014). Consumer confusion over food labelling.. The Chartered Institute of Marketing. Robinson, L., & Border, P. (2015). Obesity Treatments. The Parliamentary Office of Science and Technology. Mooney, J., Haw, S., & Frank, J. (2011). Policy Interventions to Tackle the Obesogenic Environment Focusing on adults of working age in Scotland. Scottish Collaboration for Public Health Research and Policy. Griffith, R., von Hinke, S., & Smith, S. (2015). Getting a healthy start: The effectiveness of targeted benefits for improving dietary choices. Health, Econometrics and Data Group, University of York. Obesity Action Scotland. (2016). Advertising, Marketing and Obesity. Obesity Action Scotland. Advertising Standards Agency and Committee of Advertising Practice. (2017). The UK Code of Broadcast Advertising. Part 13: Food, Food Supplements and Associated Health or Nutritional Claims. Advertising Standards Agency and Committee of Advertising Practice. Advertising Standards Agency and Committee of Advertising Practice. (2017). The UK Code of Non-Broadcast Advertising. Section 15: Food, Food Supplements and Associated Health or Nutritional Claims.. Advertising Standards Agency and Committee of Advertising Practice. Tedstone, A., Targett, V., & Allen, R. (2015). Sugar Reduction. The evidence for action. Public Health England. Committee of Advertising Practice. (2016). CAP Consultation: food and soft drink advertising to children. Regulatory statement. Committee of Advertising Practice. Chartered Trading Standards Institute. (2016). Guidance for Traders on Pricing Practices. Chartered Trading Standards Institute for the Department of Business, Energy and Industrial Strategy (BEIS).